A crowd gathered for the annual horse ride to benefit Make A Wish. Shayla Hysell raised the most money for the event. LANGSVILLE — A fun event for a good cause. The Meigs Chapter of Ohio Horsemen’s Council (OHC) recently held its annual fundraiser for the Make A Wish Foundation. 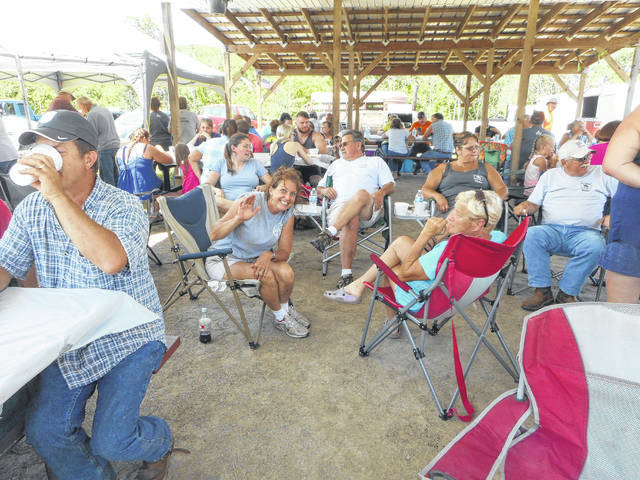 The event was held at the AEP Hunting and Equine Area located at Langsville, Ohio. It was another hot day but there were 79 in attendance, with 39 horse riders taking off on the trails. After the ride a potluck meal was served and Georganna Koblentz from the Wish A Wish Foundation gave a speech on how the money was used for the children with life threatening illness. The Meigs Chapter raised $13,942, for the Foundation, with all proceeds going to the foundation. 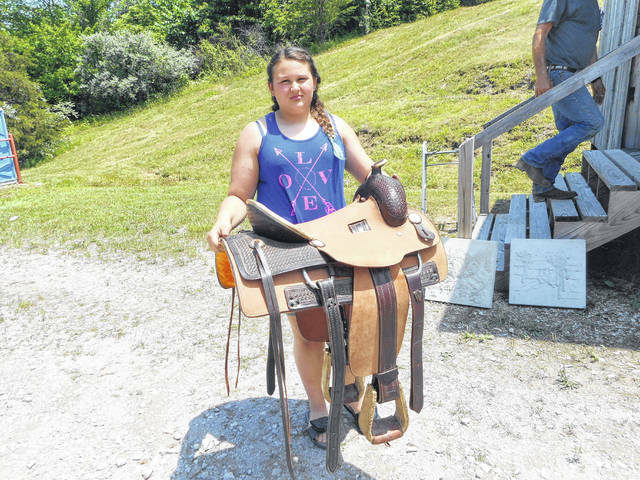 Top three winners for bringing in the most money were: Shayla Hysell (first place), winning a saddle donated by Mike and Connie Brothers from their tack shop, Kenny Turley (second place), winning a bridle set made by John Nibert, and Ed Turley (third place), winning a saddle rack. Kenny and Ed donated their items back to be auctioned off. Harold White was the auctioneer. This was our fourth annual ride for the foundation and over the years we have raised $40,000 for Make A Wish. Work is already in process for next year’s event, according to Paul L. McDaniel Jr., president of Meigs OHC Chapter. 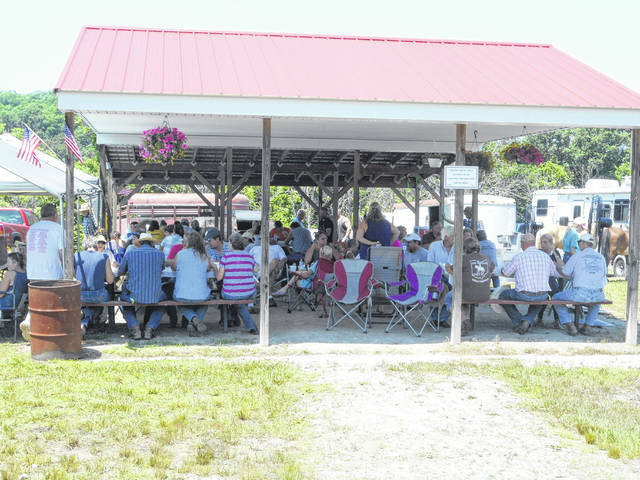 https://www.mydailytribune.com/wp-content/uploads/sites/42/2018/07/web1_7.15-Make-a-Wish-1_ne2018713143914288.jpgA crowd gathered for the annual horse ride to benefit Make A Wish. https://www.mydailytribune.com/wp-content/uploads/sites/42/2018/07/web1_7.15-Make-a-Wish-2-Shayla-Hysell-first-place-winner-for-most-money-collected_ne2018713143919546.jpgShayla Hysell raised the most money for the event. https://www.mydailytribune.com/wp-content/uploads/sites/42/2018/07/web1_7.15-Make-A-Wish-3-Ride_ne2018713143924160.jpgA crowd gathered for the annual horse ride to benefit Make A Wish.